I've been wanting to do this painting since I started this series, the notes were even completed before the Pokemondala, I just got caught up in other things. The idea was to create a functional sigil binding up the evil king Ganondorf in the sacred realm. The medallions and six sages surround him, followed by the appropriate temple and song for adult Link, connecting to young Link on the outside edge, bridged by the Temple of Time. 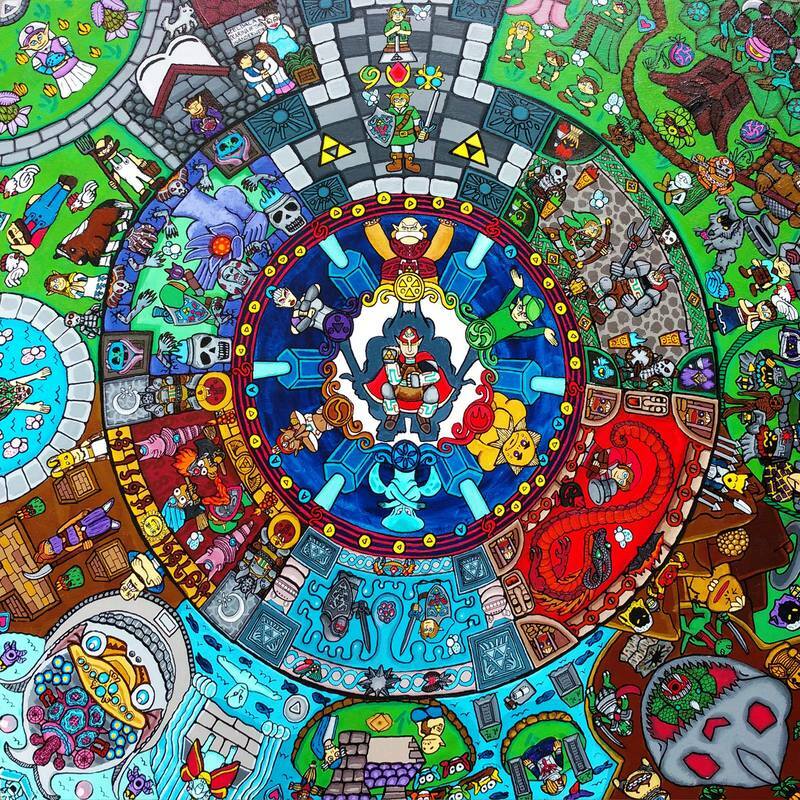 ​I was able to fit every enemy and almost every character into the design (i should have gone 48"x48") as well as four pieces of heart, a gold skulltula, all five masks delivered to the right people, and the entire Biggoron sword quest.